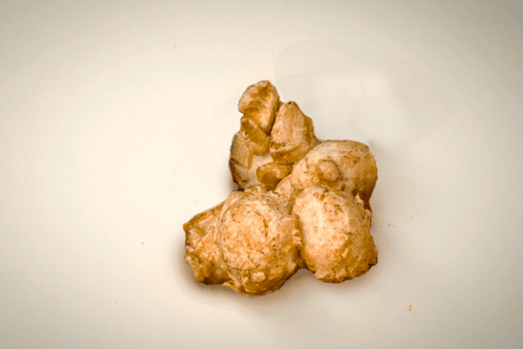 Watch out, cinnamon lovers—there’s a new era in snacking! 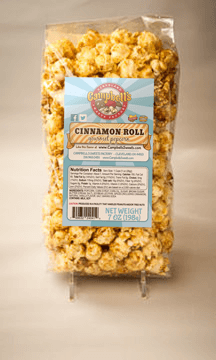 Our delicious Cinnamon Roll popcorn is flavored with the basics: pure-cane sugar, ground cinnamon and real butter! 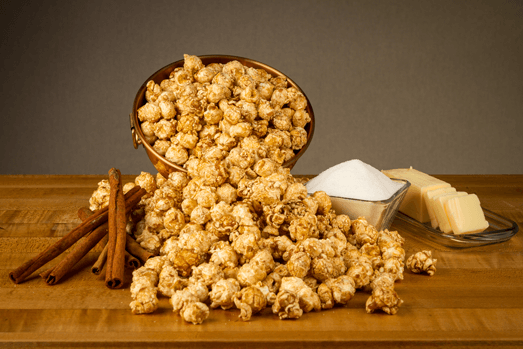 This crispy, crunchy cinnamon & sugar delight is an up and coming best-seller, so give it a try! 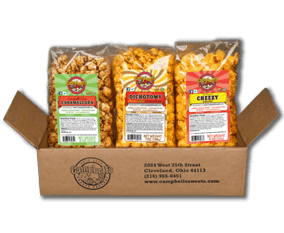 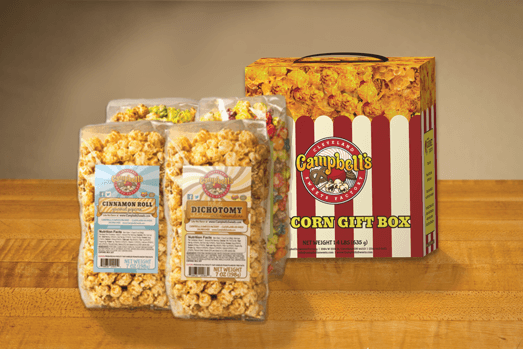 (4) Bags of sweet, candy-coated gourmet popcorn in a decorative, gift-friendly striped box! 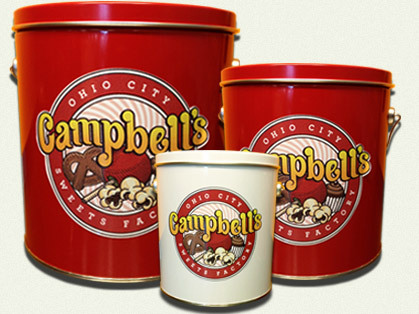 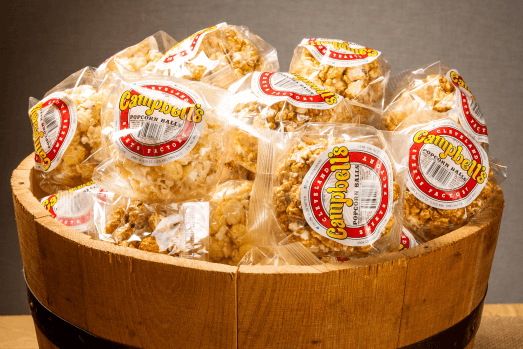 A (9)-pack box of our hand-made Vanilla popcorn balls; a fan favorite at Campbell’s!